At the initiative of Bernard Arnault, architect Frank Gehry designed the Fondation Louis Vuitton in the Bois de Boulogne in Paris. The Foundation’s vocation is to support contemporary French and international artistic creation and make this art accessible to the broadest possible audience through a permanent collection, temporary exhibitions, commissions of artwork, as well as a diverse schedule of multi-disciplinary events, with an emphasis on music. 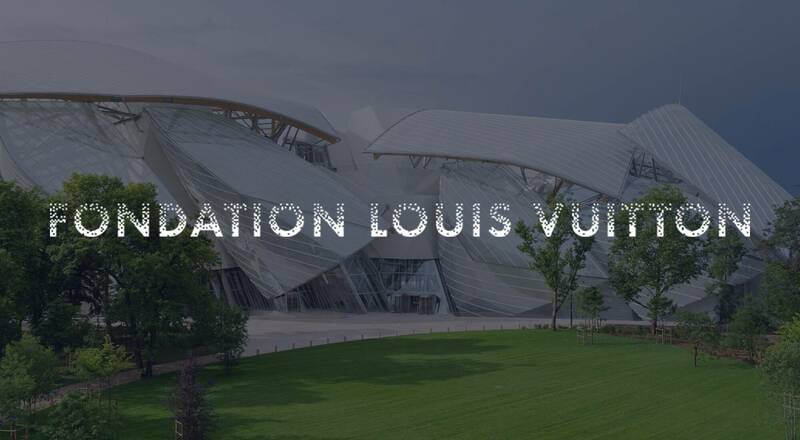 The Fondation Louis Vuitton was inaugurated on October 20, 2014 by French President François Hollande and Bernard Arnault, reaffirming longstanding active support for the arts and culture by LVMH and Louis Vuitton. The Foundation makes a significant new contribution to the heritage of Paris with a monument that symbolizes 21st century architecture. The bold creativity of Frank Gehry’s design makes the building itself the first work of art at the Fondation Louis Vuitton. Rising amidst centuries-old trees, it stands on a mirror of water, harmoniously integrated with the surrounding natural environment to invite a compelling dialogue. Twelve “sails” envelop the “icebergs” which house the exhibition spaces. “To reflect a constantly changing world, we wanted to design a building that evolves depending on the time of day and the light, in order to create an impression of intangibility and continual transformation,” says Frank Gehry. The plays of light and transparency of the sails impart a dynamism that echoes the activities of the Foundation. A host of technological innovations enable the building to express its artistic ambitions. From the design of the concept to the approach taken for construction work, the Fondation Louis Vuitton project revisited fundamental architecture principles, taking them in exciting new directions. From the outset, all the project partners learned to work together using the revolutionary Digital Project 3D software developed by Gehry Technologies, based on the CATIA platform developed by the Dassault aerospace group. The complexity of the assembly and the unique features of each component in the building – from the 19, 000 Ductal® panels (ultra-high-performance fiber-reinforced concrete) to the 3,600 glass panels – led the engineers to adapt industrial processes to a custom-crafted manufacturing model. The dialogue between the glass and the wood and metal frame represents both a technical and aesthetic feat. 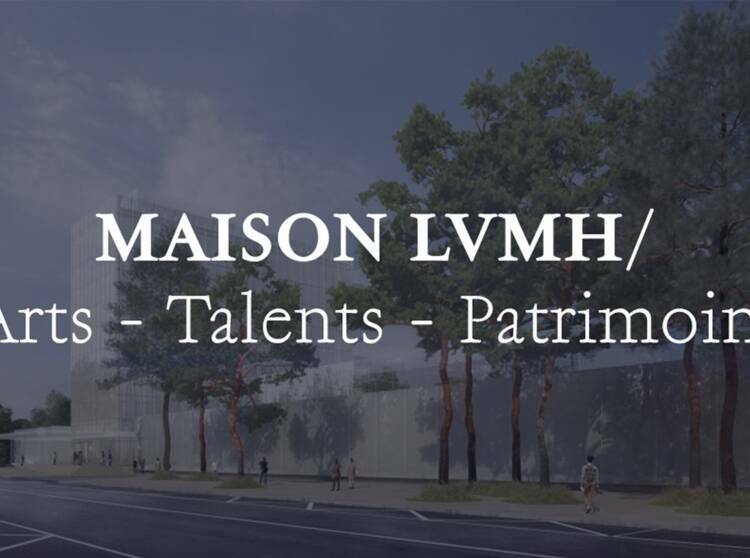 The elevated environmental objectives of the Fondation Louis Vuitton led to its selection as a pilot project for the new HQE® High Environmental Quality standard. A series of upstream studies analyzed local fauna, flora and water tables, as well as acoustic impact and public access in order to minimize the environmental footprint at every stage, from design and construction to day-to-day operation. With a focus on serving the public interest, the Fondation Louis Vuitton both promotes modern and contemporary art while facilitating access to the broadest possible audience. The Foundation collection, overseen by artistic director Suzanne Pagé, has been established to reflect the distinctive choices and approach articulated by Bernard Arnault. This dynamic and continually expanding collection has a natural structure defined by specific lines that establish four categories: Contemplative, Pop, Expressionist, and Music & Sound. The artists whose works figure in the collection include Gerhard Richter, Ellsworth Kelly, Thomas Schütte, Pierre Huyghe, Bertrand Lavier and Christian Boltanski, among others. The Fondation Louis Vuitton organizes two temporary exhibitions each year that feature modern and contemporary art with an international perspective. Among the noteworthy exhibitions to date were “Icons of Modern Art. The Shchukin Collection”, a huge success that drew over a million visitors, as well as “Being Modern: MoMA in Paris”. 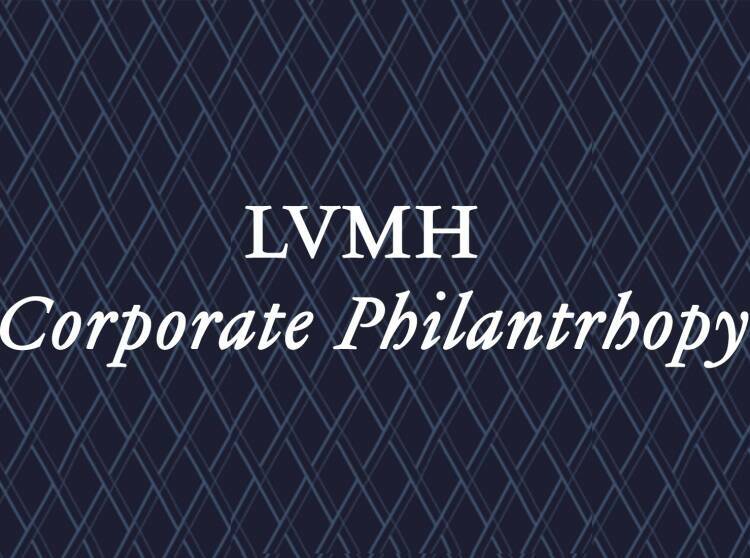 Music plays a prominent role on the Fondation Louis Vuitton agenda. The Auditorium in the heart of the building has been conceived as a space to inspire emulation, transmission and musical creation. It welcomes musicians and artists from all contemporary artistic disciplines, providing both artists and the public with a unique setting thanks to its architecture and the superb quality of the equipment.